By now, it is almost certain that Powerstar Pawan Kalyan’s next film will be under the direction of his Khushi director SJ Surya. AM Ratnam and Sharrath Marar are said to be in the race to produce the film. Now, over the past few days, there have been numerous rumors about the film’s story. Media houses have been abuzz nonstop with the news of Pawan and SJ Surya joining forces for a sequel to Khushi. Also, reports of the duo eyeing a remake of Ajith’s Veeram cropped up recently. Finally, the entire buzz seems to have centered around a possible remake of Ajith’s recent hit, Vedalam. 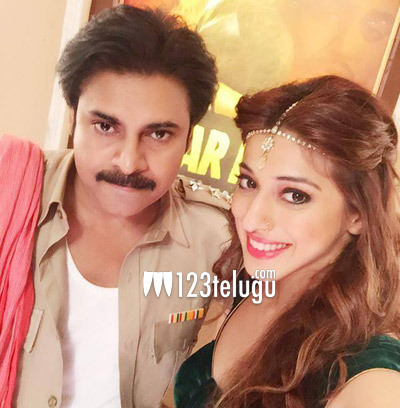 Adding fuel to the buzz, Raai Lakshmi, who sizzled alongside Pawan in a special song in Sardaar Gabbar Singh, tweeted, “Like I said earlier that #pspk #thala have lot of things in common! Here u go now I hear his remaking #vedalam in Telugu.” We will have to wait for an official confirmation from the horse’s mouth though.